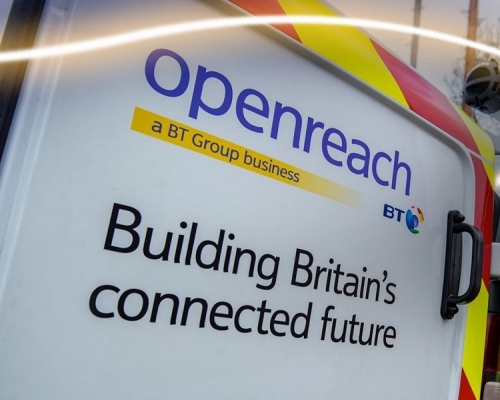 Last month Openreach (BT) launched a new consultation that hinted at a large-scale deployment of “full fibre” FTTP ultrafast broadband, which could cover up to 10 million premises by around 2025 (here). Today a leaked copy of that document has pegged the cost at between £3bn to £6bn. At present Openreach’s roll-out of 1Gbps capable Fibre-to-the-Premises (FTTP) technology is only expected to reach 2 million premises (mostly new build homes and businesses) by 2020, while their ‘up to’ 330Mbps hybrid-fibre G.fast solution will do 10 million premises by the same date. Meanwhile the Government have long been pressing them to invest in much more “full fibre” and the growth of rival FTTP/H providers, as well as Virgin Media’s network expansion, has also provided some food for thought. However Openreach has said that such a deployment would only work if they had support from major ISPs (e.g. TalkTalk, Sky Broadband) via greater collaboration or cost sharing models, as well as the backing of Ofcom and the Government. For example, they’re seeking protection for their investment against aggressive regulation / charge controls and a reduction in logistical barriers (e.g. simpler planning and traffic management processes between local authorities). On the flip side ISPs will want to ensure that they have some flexibility to differentiate their products and can offer it at an affordable price. At present it’s difficult to perceive of any ISPs committing direct investment to help Openreach deploy new infrastructure if they can’t get better and cheaper access to what is built, such as perhaps via wavelength unbundling. Today a leaked copy of the consultation has apparently reached The Register, which claims to reveal that such a roll-out could cost up to £6 billion. The leak also suggests that Openreach are considering the possibility of migrating the “entire Openreach customer base” in related areas to new fibre optic lines, which we’d assume would also support the withdrawal of legacy copper line / ADSL services (cost saving). However that sort of migration would be tricky unless the prices between the old and new services are fairly level and all ISPs, not just the biggest players, are willing to play ball. The above article claims might not be the case and customers could end up paying +£7 per month extra for FTTP lines, which would obviously cause a lot of consumer frustration (not everybody wants a faster service, some prefer to save money via slow ADSL). But this is only one of various approaches being considered. “Deploying full fibre at scale will cost billions of pounds – we are currently in the process of exploring what we can do collectively across industry, government and regulators to minimise those costs. The exact costs involved would depend on a variety of factors – which is what the consultation is exploring. At present it’s still early days and no decisions have been made. The consultation itself is expected to run until 29th September 2017 and sadly we won’t be able to see any of the responses because this remains an industry, not public, consultation. Unless somebody leaks those too..
We’ve spoken to a couple of ISPs and now have a bit more context for the figures. The document basically says that a large-scale deployment of FTTP might cost £300-600 per premises passed. As such, a rollout to 10 million premises might cost between c.£3bn and £6bn, and a rollout to 20 million premises would cost more than double since costs increase disproportionately as coverage is extended to areas that are more difficult to cover (e.g. rural areas). The document also uses some benchmarks’ to support its point, such as Virgin Media’s £3bn Project Lightning network roll-out to an extra 4 million UK premises that has an expected build cost of c. £600 per premises passed plus £150 per connected customer. Plus TalkTalk’s joint project in York with a build cost of under £500 per premises, as well as projects in Spain, Portugal, France and Belgium etc. Some recent investor slides from BT (here) reveal that the first 10 million premises to be connected via FTTP would cost an “estimated” £300 – £600 per premises passed, plus £175 – £200 to connect. Is there any indication about which 10m this £3-6bn is to reach with FTTP? Is it a replacement for the same 10m that is currently expected to be reached by G.Fast? Or a different 10m? I don’t think that’s revealed in the consultation, but I doubt there’s been a decision either way. It is also interesting to read the CityFibre input over on el Reg. That the only way to get a cheap Openreach rollout is to do a wide-area changeover… but that affects competition from other FTTP providers… and he doesn’t want an over-reliance on Openreach. Catch 22. That seems the core issue… Should the comms industry cooperate with Openreach to get a widespread rollout? Or stick to an ultra-competitive model? The latter hasn’t worked so far. Should we give it more chance? I wonder if the consultation even contemplates co-operation with other infrastructure owners. Openreach said it included, among other things, “greater collaboration, including new investment, risk and cost sharing models.” Very vague but could cover a lot of bases. I note in Cityfibre comprehensive response to Ofcom WLA response they reference City wide DPA deployment, which I assume needs partners. FTTP Vula with (TalkTalk and Sky) versus DPA with CityFire and others. Difficult to assess the latter given the existing wholesale requirement. What does “However Openreach has said that such a deployment would only work if they had support from major ISPs (e.g. TalkTalk, Sky Broadband) via greater collaboration or cost sharing models” actually mean? Is that flash business talk for this time around we plan on hitting up other companies for money rather than the government? One of the problems with copper is the drop off with distance which true fibre doesnt suffer with so if all isp’s where forced to only advertise the uso speeds instead of speeds where only a certain percent could get it would help prompt them to open their wallets. Also surely there will be ways for the isp’s to contol the lines like they can (to a extent) with adsl/vdsl if so then those isp’s who help build the system can be given access to this system. 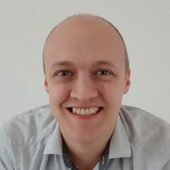 Im also thinking that having a full fibre will allow for far more speed options, if people want slow connections then that option will be available to them. The isp’s dont know what their customers want themselves as shown by the constant churn in subscription numbers so i belive openreach should set up a website similar to the one virgin did for “cable my street” and hopefully that would help. Lastly i also feel sorry for the alt nets as if openreach get the green light to do a large scale rollout where will that leave them (im ignoring virgin here as they can still compete speed wise) which is why i dont belive they will ever do it as a lot of other companys stand to loose a lot of money. There is a dilemma in that VULA-FTTP which is reliant on Openreach which has a wholesale condition, while the some form of DPA partnership in theory does not. I cannot see the two co-existing and I cannot see how OR/BT Group would prioritise DPA partnership over VULA. I guess BT could have best of both worlds by continuing to focus on VULA-FTTC,G.FAST,LR-VDSL and selective VULA-FTTP, while entertaining offers of DPA partnerships. Full fibre needs to be paid for somehow. The constant message from bt and now the independent openreach is that it will cost and needs to be paid for. Can’t just expect openreach to stump up for it and have the likes of Sky, talk talk etc make huge sums off the back of it without putting their hand in their profits to help the initial buildout. OFCOM could guarantee openreach certain prices, but would consumers really pay for 330mbs or 1gbs fibre when 25mbs is enough for their needs? Forcing removal of the copper lines and adding £7 to the monthly bill will make many people consider a wireless solution. For some, 4g is a valid replacement for fixed Internet in terms of both performance and cost, 5g promises better, by 2020 consumers may decide wireless intenet is good enough that fixed internet is not worth the at least £7 per month premium, to connect their wireless equipment to the same internet. Untill 4/5G solutions come with unlimited data, they’re really not viable for most households. How much did May find to stay in power. Bunging BT £100 Mil to FTTP up the country is nothing. At least we’d get something out of that money. or look at it this way, 56 billion to build HS2 to shave half hour off your train journey from manchester to london (then on to paris if you want) or use the cash to do a full ftth to every building in the uk no matter where they are and render about half of those rail journeys as unnessary and still have 20 odd billion to give to the nhs/police who despretly need it. @regis – how would you deal with the additional capacity needed on the route? And how do you calculate that FTTH wil make journeys unnecessary? @TheFacts: Why do you believe that the 50+ Billion investment in HS2 is better than a widespread investment in FTTP? How will you personally benefit from HS2? @GN – Where do I say HS2 is better? How I will or will not benefit is not relevant to the discussion. This HS2 Projects needs to be cancelled now – we need a full public consultation before any further work is done, clearly some people are going to be rich from this bungling mess of a project, lets see HS2 estimated to be 50 to 100 billion openreach estimates 3 – 6 billion, surley if you can afford HS2 full fiber rollout is only peanuts ? It is an utterly STUPID idea, you could spend that money improving the existing network for everyone AND for FTTP for everyone..
That’s alright, it’s only half the amount we give away to other countries each year, and a few billion less then what we pay the EU every year currently. And it’s half the current estimated H2 train set cost! And it will benefit a hell of a lot more people then that useless train set too! Although I suspect the cost would be around 3 billion as the privately owned Openreach will have factored in a huge profit margin. you clearly don’t understand either what HS2 is about or how Openreach operates to any degree to make either of those statements especially the one about the cost would be around 3 billion as the privately owned Openreach will have factored in a huge profit margin. Like HS1 eradicated lorrys from using the M20 and operation stack is nothing more than a camera trick. Hardly – HS1 doesn’t carry goods whereas HS2 frees up capacity on the existing line for goods trains. Surely this is worth doing. It will be a payment made once and then won’t need to be made again for a very, very long time. The simplest method (at least in the beginning) should be to: A) allow isp’s to offer it to customers at x per month over a 1/2/3 year contract to ensure the cost is fully covered A) allow householders who want FTTP to pay the £300 to get it installed via an order from their isp & the isp cannot be allowed to jack up the price seeing as the customer paid for it. If £300 for FTTP was available right now, huge swathes of the populace would jump on it provided the monthly fee was reasonable. Once X signups per area have signed up/placed the order…OR go out and do their stuff. If only… there’s a FTTP aggregation node 10m from my door and a splitter point 20m. Yet there’s no way that I can get FTTP as a residential service.